Some places just implant themselves into my brain. A soft whisper. A come-wither in my daydreams. Some of these distant places remain a fantasy and others somehow—luckily—fall into my lap. I’ve been wanting to visit Italy’s eastern coast ever since I spent a few days in Cesenatico last year. I don’t know much about the east side, but the words Le Marche (The Marches) kept popping into my head. 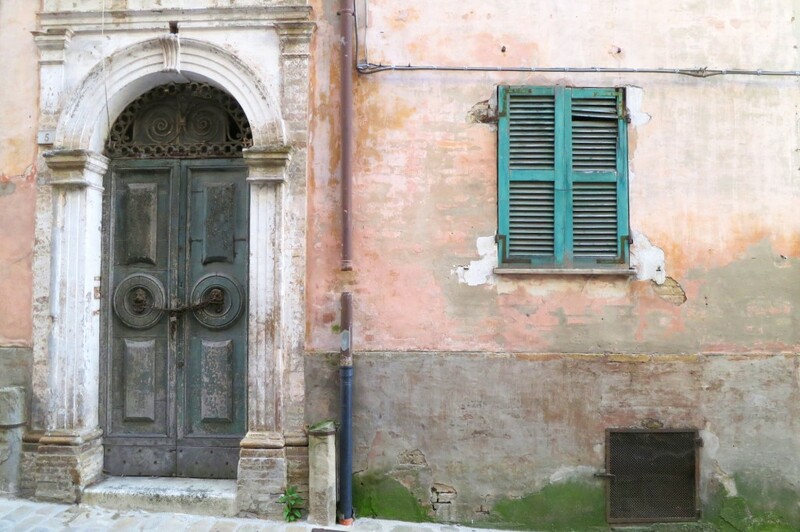 Most of my Marchese wanderlust comes from following Ilaria Barbotti on her new social media project, Exploring Marche. 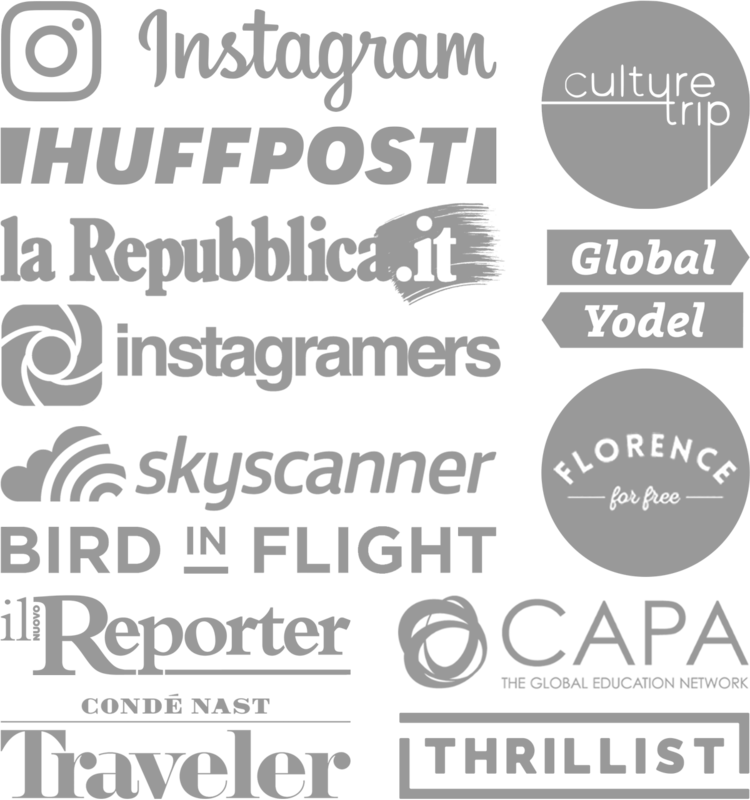 Ilaria is the President of Instagramers Italia and invited me to join in on her third #exploingmarche trip. Grazie mille Ilaria! So, I was off on a train from Florence – Bologna – Ancona. 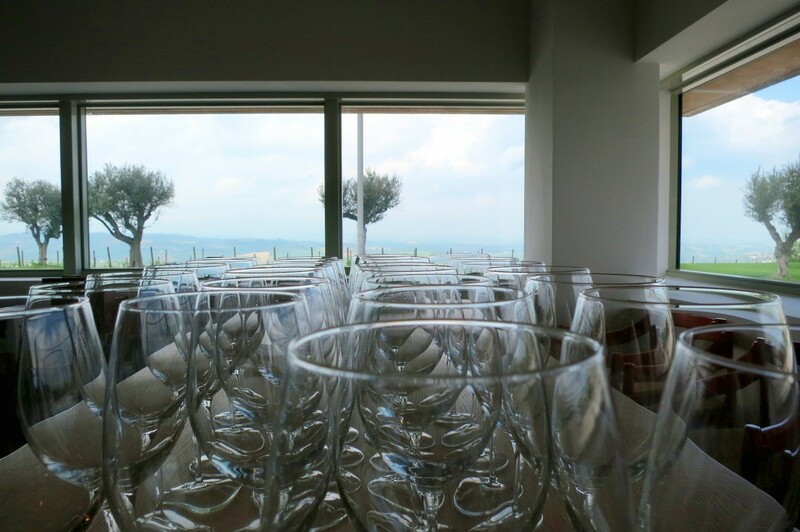 The whole travel gang and I stayed at Hotel Le Grotte in Genga for three nights. 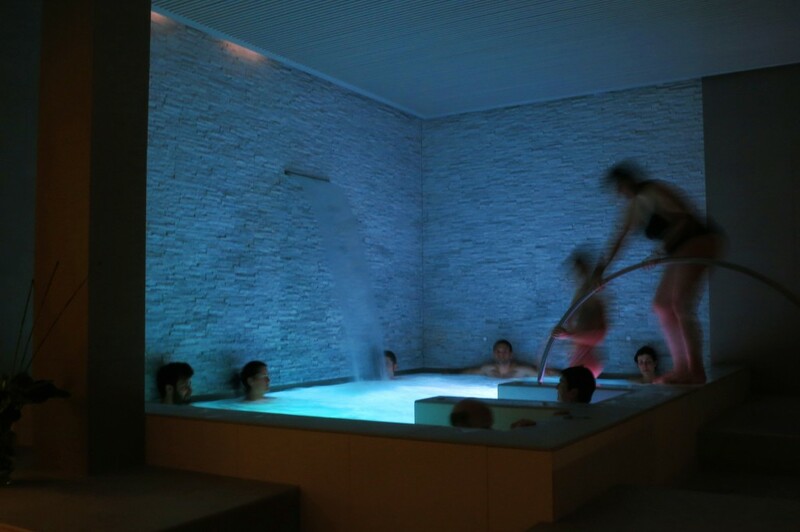 Pssst, they have an incredible spa! The Instagramer crew relaxing before the busy days ahead! 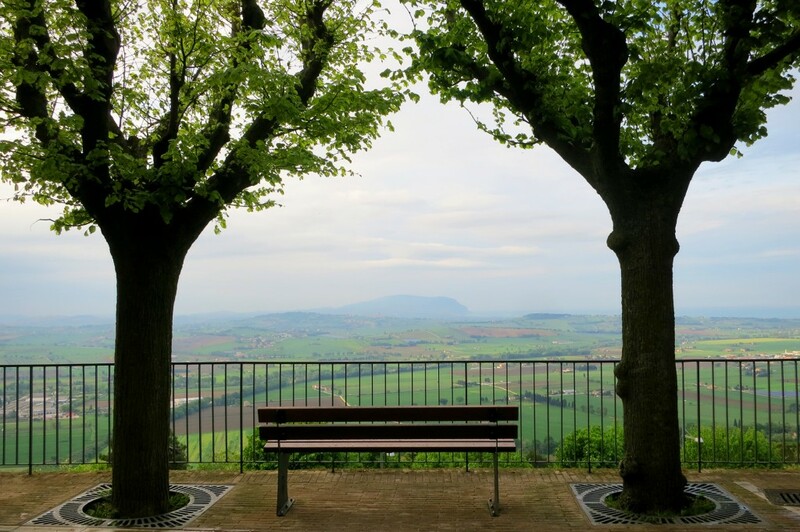 There’s so much to see in Le Marche. 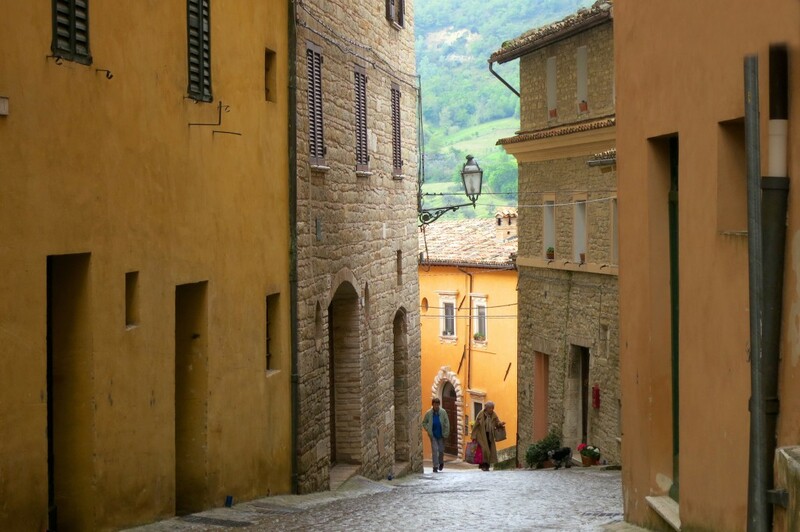 Obviously the gorgeous hilltop towns—not just in Tuscany ;)—sweet storefronts, colorful old walls, basically a photographer’s (and adventurer’s!) paradise. Here’s a recap on all that we saw and what I highly recommend. We spent the afternoon soaking up all our free time in the spa before we had to get dressed for dinner. 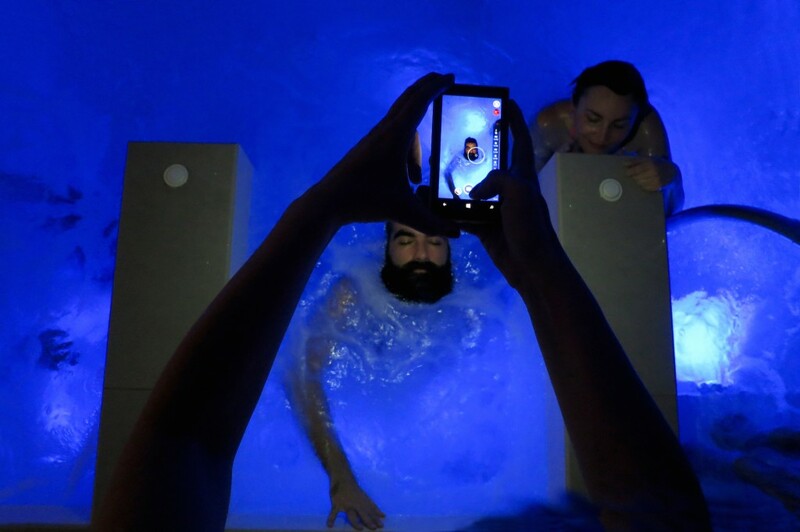 I flipped through the hot tub, sauna, shower and steam room; I could have skipped dinner and taken a nap in the relaxation room after all that hard work! Of course we took every opportunity to take photos…of each other! Here’s Ilaria shooting Nicola and his famous beard. 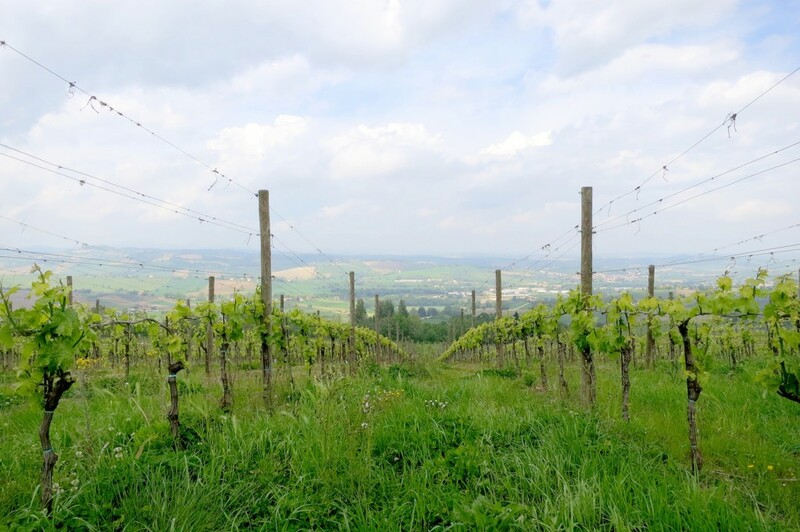 We visited Cupramontana, Serra dè Conti, Serra San Quirico and Fabriano. 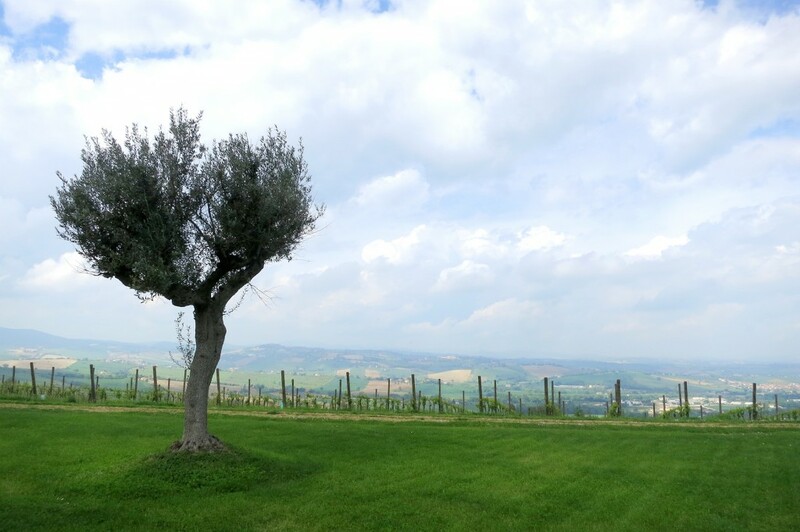 The views were so incredible, especially from our rendezvous at the CasalFarneto vineyard in Serra dè Conti. It was my first time trying Verdicchio wine and I left impressed and with a few bottles in hand. Next we toured the Museo della Carta (Paper Museum) in Fabriano. There’s a guided tour explaining how paper was made and how it’s still traditionally made to this day. Supposedly the Arabs were the ones who taught the locals in Fabriano how to make paper, a technique that was originally adopted by the Chinese. I wanted to leave with a momento, so bought some handmade paper letters for that someone special. Love finding these views from narrow streets, taken from Cupramontana. Not my nonne in Serra San Quirico! We took a small hike up in Valle Scappuccia, a beautiful forest filled with caves and boulders. 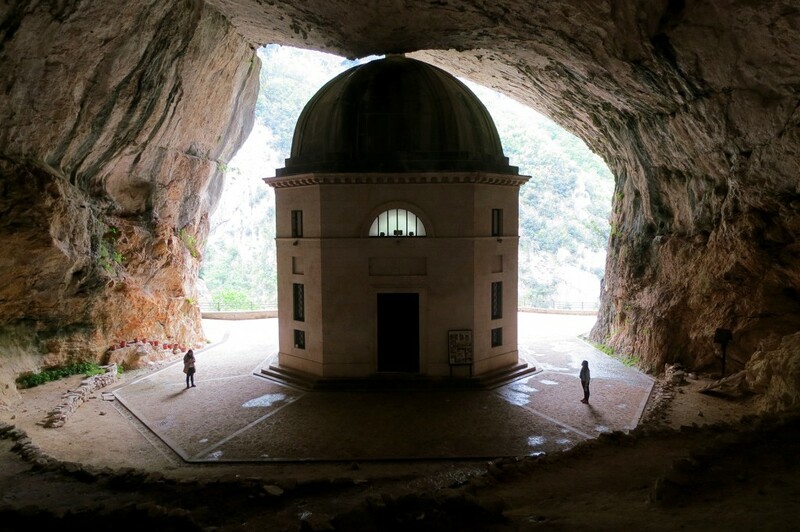 Then we were off on a more serious hike—some may say a pilgrimage—to Tempio del Valadier (Temple of Valadier). After walking up a hefty incline for 20 minutes, SMACK! There she was. In my face. The beautiful temple, so peaceful, so alone, in the most gorgeous remote setting. The temple is named after the architect Giuseppe Valadier and was built by Pope Leo XII in 1828. Off to the side there’s an extremely tiny chapel that looks like it’s built into the rocks, a cozy sanctuary for peace and pray. 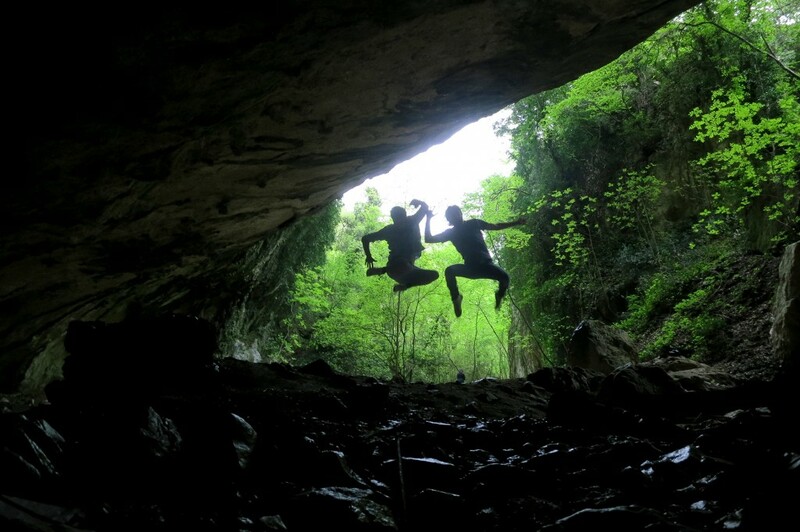 Check out my post about spelunking in the Grotte di Frasassi where I share my amazing experience and some of my favorite pictures! Nothing like getting a little, OK very, dirty. 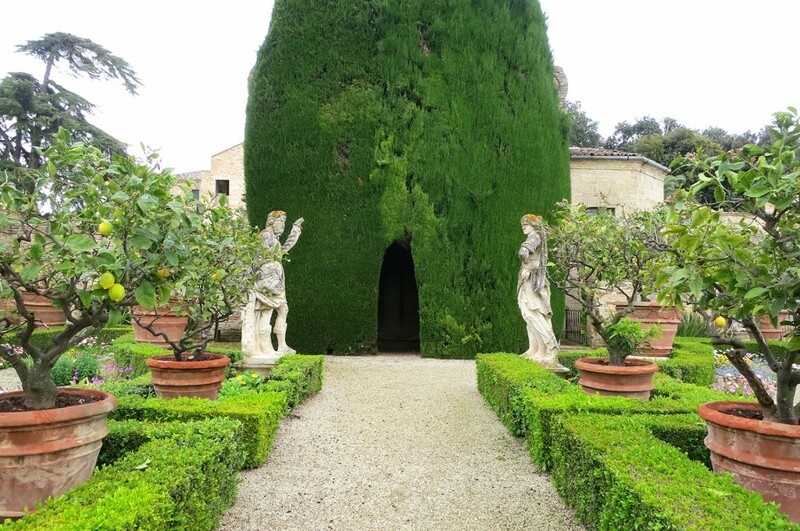 We needed a soothing day to help us recover from the workout in the Grotte di Frasassi, so we spent a few hours in the gardens of the 16th Century Villa Buonaccorsi, heavenly! Luckily, I was with a bunch of Instagram geeks, so we found a million and one things to photograph besides each other. Next up was a tour around the center of Potenza Picena where there are massive views of the mountains and coast plus a charming theatre up at the top. The night ended with an extremely intense tour in Camerano at Grotte di Camerano. I’ve never experienced anything like it. This tour gave me chills, conjured up images of past lives and what life was like back during WWII when the caves were used for shelter. Highly recommend, just know that the tour (more like a theatrical performance) is in Italian. 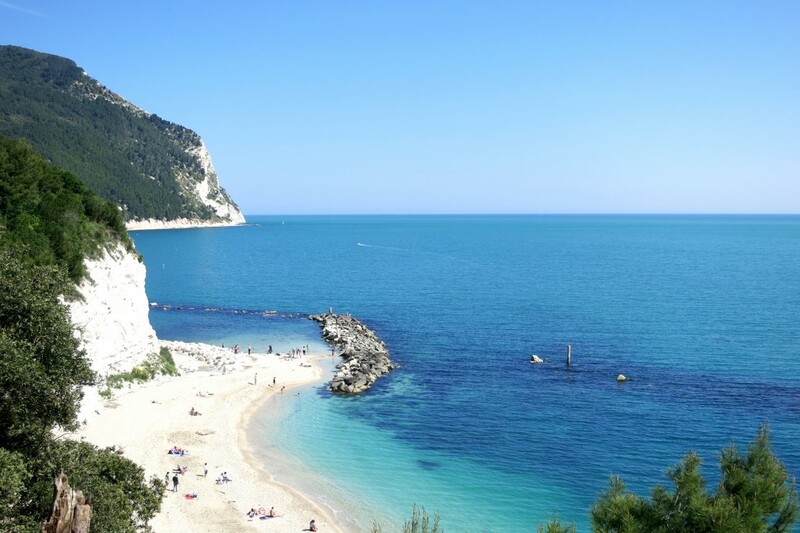 Our last day was a beach day, exploring the seaside in Conero, Urbani and Ancona. 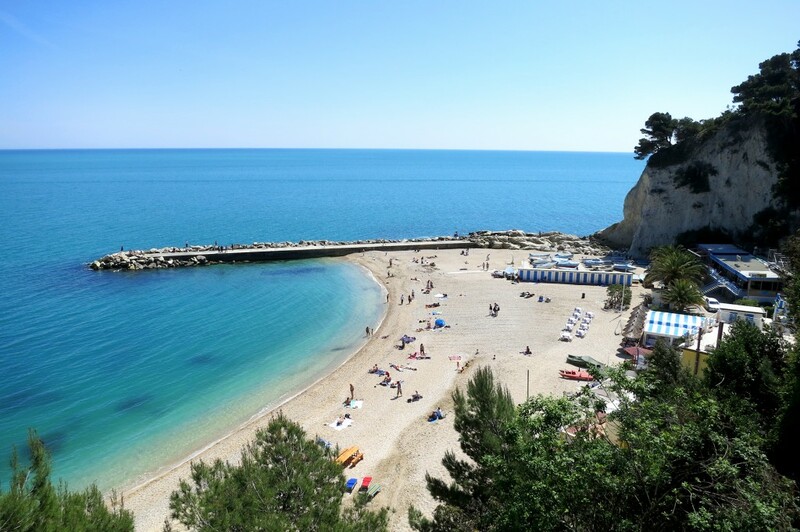 My short-lived stay in Ancona makes me want to return to Le Marche to spend more time in the capital. 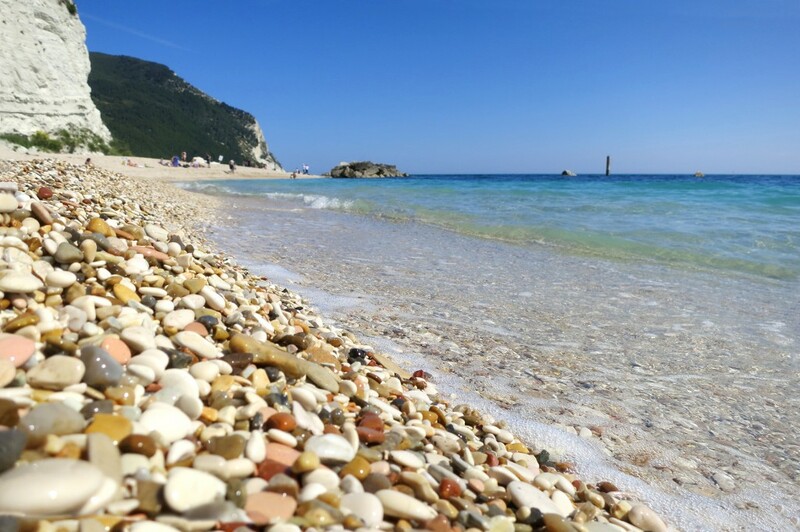 We lounged along the pier and rocks for a while and took a nice long walk on the soft pebbles of Spiaggia Urbani. Check out the Caribbean blue water! 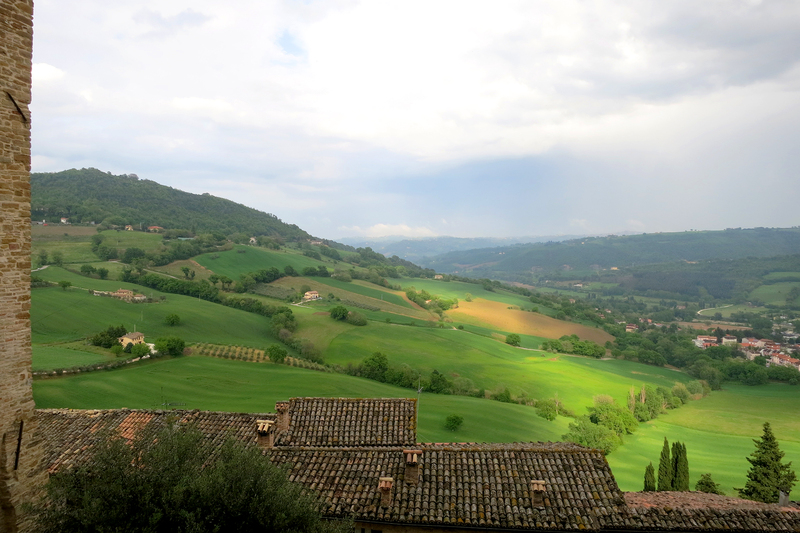 The trip was unforgettable and now that I’ve had a taste of Le Marche I’m hoping for a second trip. 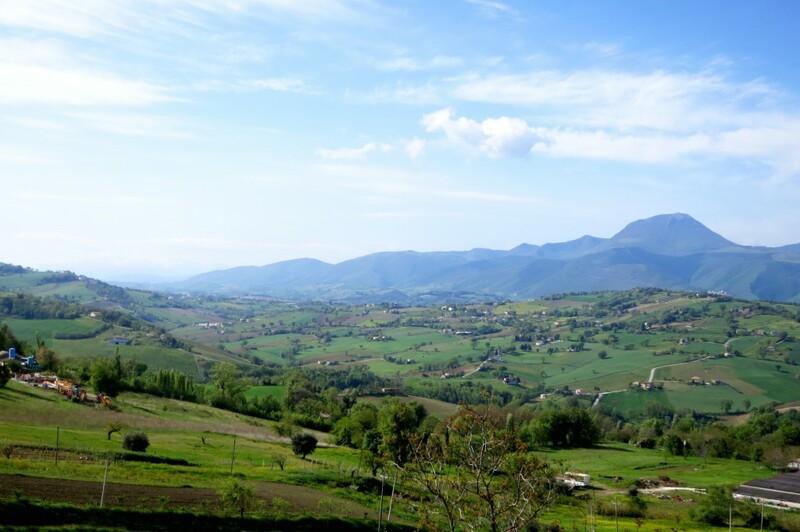 Have you ever been to Le Marche, any tips you can share? What’s your favorite region of Italy and why? I e-mailed you yesterday at the address listed on this site but haven’t received a response. I will be visiting Florence/Pisa next month for a day during a cruise. We are having trouble finding a tour guide, etc. Do you have any advice/suggestions? Thank you! Hi there! I take 24 hours to reply, since I get so many emails for work in a day. 😉 Will shoot you a response. Not sure you will see both in one day… I recommend Florence if you have to choose between the two. Hi Tiana, glad you finally got to experience Le Marche and big time too! 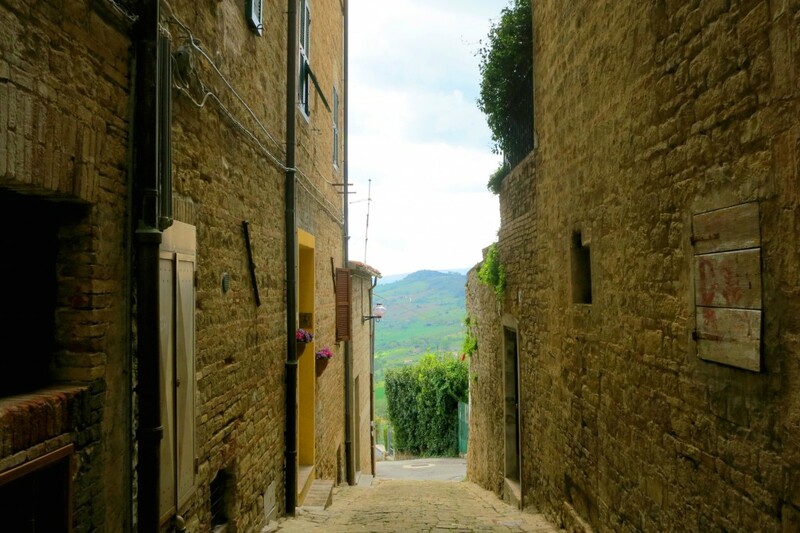 Even before we lived in Italy, we visited Le Marche and are now there every summer. Hope you get to head back there again really soon. Killer location! I absolutely hope to go back again, but as you know Rome needs to be first! 😉 So much to see in just one country! When I first pulled up this entry I wasn’t expecting so much diversity! 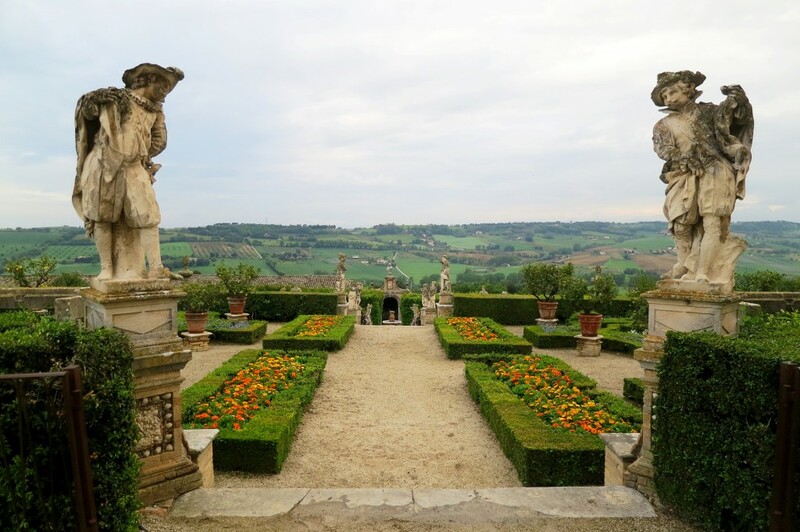 I was especially wowed by the vistas from Serra San Quirico and the unexpected, hidden Tempio del Valadier. 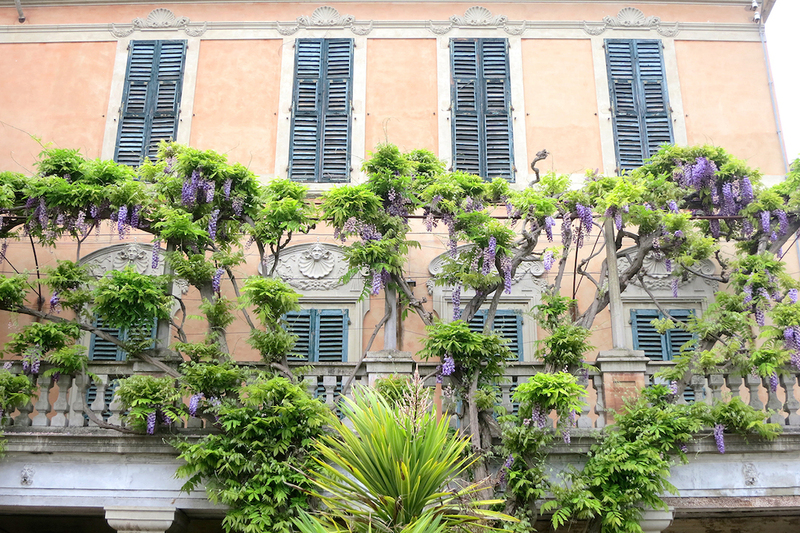 Adding these spots to my Italy travel wishlist ASAP! Yes that temple is killer and the views from all the towns from Day 2 just made my heart sing! Sigh that scenery is making really miss Italy, just gorgeous! 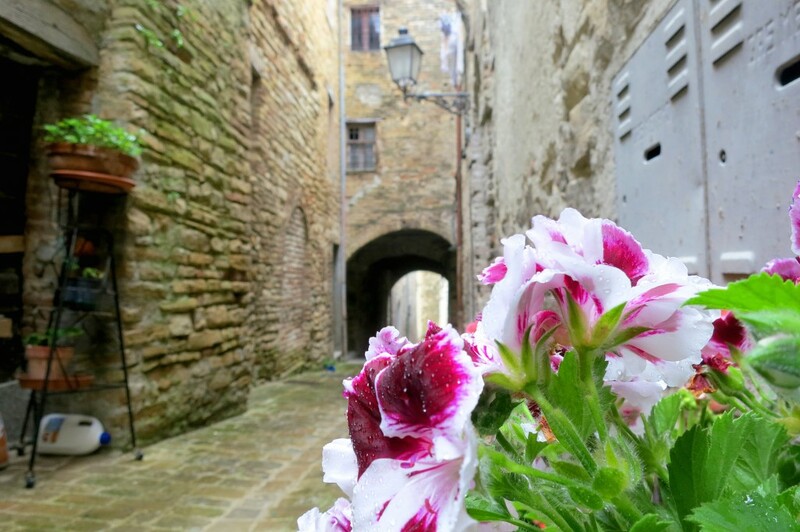 It is pretty dreamy on the east coast, more people should tack it on their Italy itinerary! Yes, the TV interview was fun too! 😉 Thank you for an amazing trip with so many great activities, hope to see you soon!